A pair of adult Bald Eagles thought that was just dandy, though, and while one tucked in the other waited down nearer the water for its turn. 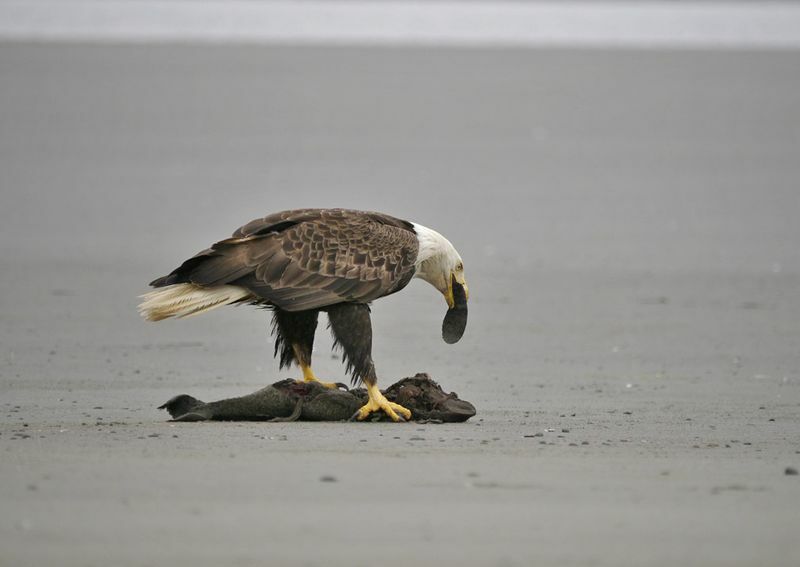 Bald Eagles are pretty famous for their opportunistic feeding habits including fishing, aggressive predation of significant-sized prey (like Sandhill Crane), kleptoparasitism, and scavenging. So even though finding them eating a washed up porpoise isn’t groundbreaking, I thought it was pretty cool (probably my landlocked Colorado perspective on things made it even more special for me.) 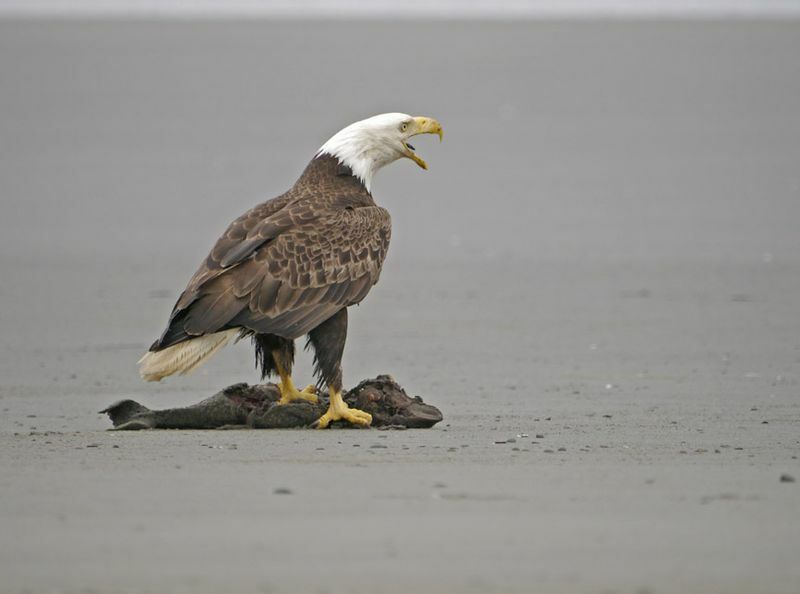 If you want to play along, leave a comment with an interesting Bald Eagle dietary story of your own! 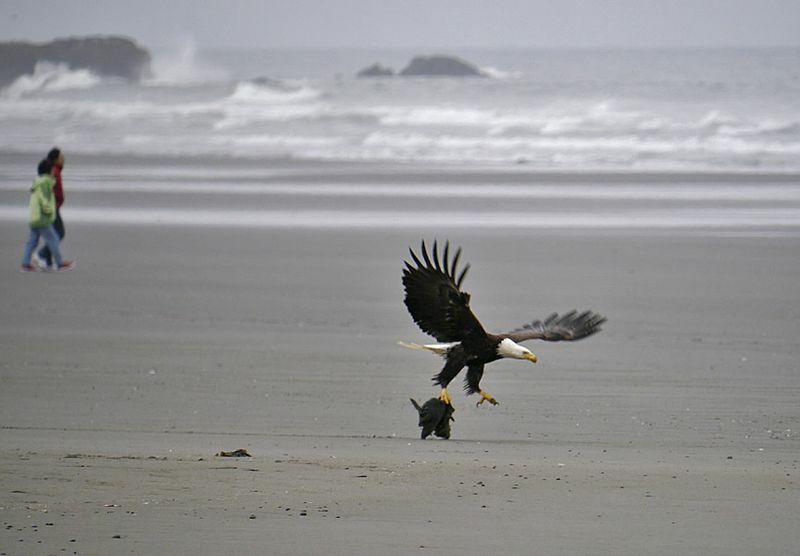 Some nearby hikers prompted the Bald Eagle to move the baby porpoise down the beach a bit. 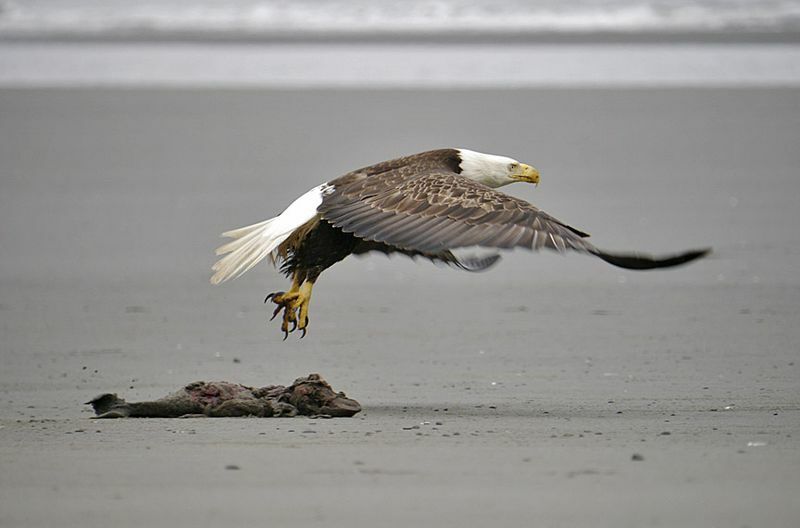 It couldn’t get the carcass completely airborne but I was duly impressed with the bird’s lifting power- it ended up dragging its meal about 50 meters closer to the surf, leaving a very cryptic trail along the beach. When the eagles were done I snapped this pic showing the dragging trail leading down the beach. 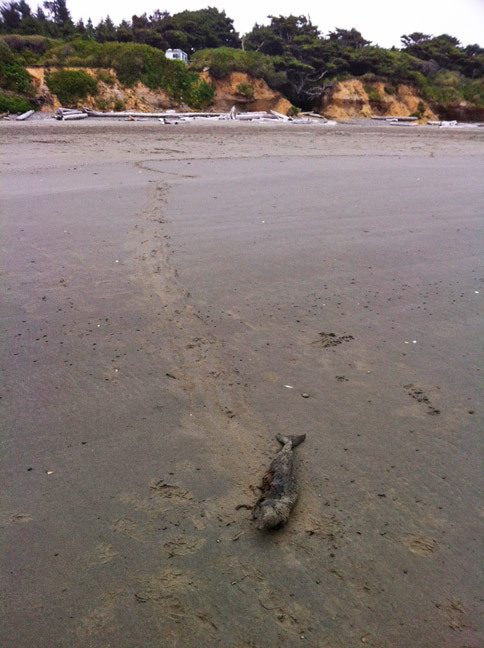 Stow that one away in your mental animal-tracking files! Porpoise flipper- it’s what’s for breakfast! That gape was made for gulping! A little repositioning hop shows off the business end of the Bald Eagle’s feet quite well. 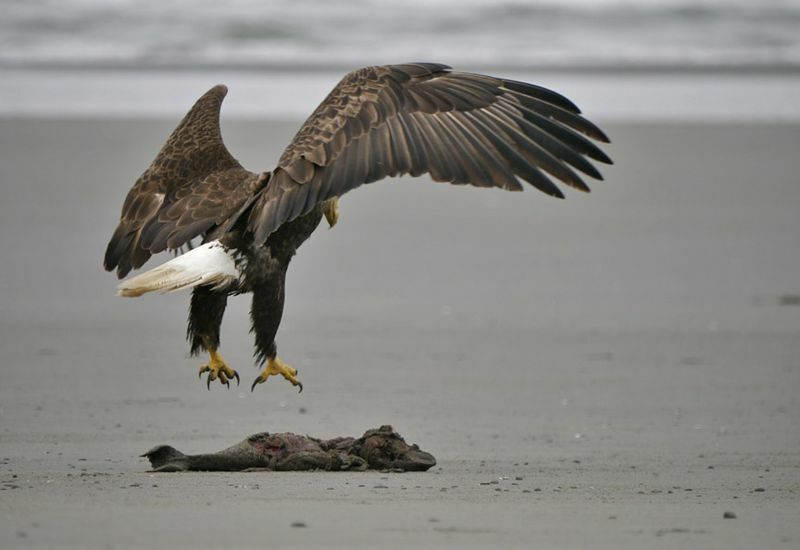 Sated, the eagle heads off for some serious digesting.